COACHELLA VALLEYS PREMIER MARIACHI BAND WITH 5,000 SUCCESSFUL EVENT AND COUNTING! 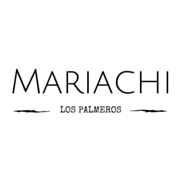 Mariachi Los Palmeros is a group of young, very experienced and energetic musicians from the Coachella Valley areas who pride themselves in offering the audience authentic Mariachi Music. Under the direction of Carlos, Mariachi Los Palmeros delivers both innovative and traditional music from their extensive repertoire. Carlos at just 26 years old has 15+ years of mariachi experience having shared the stage with Mariachis such as Los Camperos, Cobre, Sol de Mexico, Vargas de Tecalitlan and artists Angeles Ochoa, Juan Valentin, Ezequiel Pena, Yolanda Del Rio, Pedro Infante Jr., Mercedez Castro just to name a few. Mariachi Los Palmeros performs in the Palm Springs and Coachella Valley surroundings. Mariachi Los Palmeros prices are at a very competitive rate in the Coachella Valley. Perfect for small intimate and private events. Make sure your date and time does not get booked! Book us now and click the button below to enter your event information. Mariachi Los Palmeros Leading The Way! Mariachi Los Palmeros is the best sounding mariachi in Indio, Coachella Valley and Palm Springs areas according to all of our clients. With the some of the best & most respected musicians in the United States & Mexico working with Mariachi Los Palmeros! Mariachi Los Palmeros take on and have revolutionized the music and kept the traditional mariachi sound. Be a guest in your own home, bring a taste of Mexico into your own home. We have competitive rates through out the Coachella Valley. This is a mariachi that has been on the biggest stages with the biggest artists in Mexico, that is why we offer the best from Mexico to your event. The best quality you will receive in Southern California. Don’t let your date go!! Contact us to book and reserve your date now!